Mark Taylor — Vistage NYC. Tips, strategies, and advice for CEOs. What Could You Achieve If You Were A Better Leader? Vistage International is the largest leadership development organization for CEOs, business owners and executives of small- to mid-size businesses who want to get better results in their business. Since 1957, Vistage has been bringing together successful leaders into private peer advisory groups guided by expert executive coaches, known as Vistage Chairs. Put twelve or so high performing business executives in a room and the potential is enormous. The groups are facilitated so that the participants help each other solve their most pressing business concerns. More than 21,000 members across the globe count on the peers in their Vistage group to provide fresh perspectives and new ideas to the problems facing our CEO’s and executives at every monthly meeting. Helping CEOs become better leaders & deliver better results by refining their instincts, improving judgement, expanding perspectives and optimizing decision making. 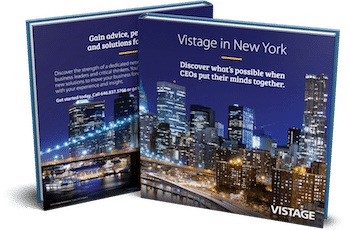 Download the Vistage NYC brochure that provides a concise yet thorough background and relevant details of Vistage and how the groups work. My name is Mark Taylor. As a Master Chair for Vistage, I’ve made it my business to help CEOs like you succeed. Thirteen years later, I managed to start my second business. There was no way I was going to fail this time because I was introduced to something that changed my life — a CEO peer organization called Vistage. I met monthly with a group of 15 CEOs and a professional facilitator. I finally learned…I didn’t fail because I wasn’t a smart guy; I failed because I didn’t have a smart support system. 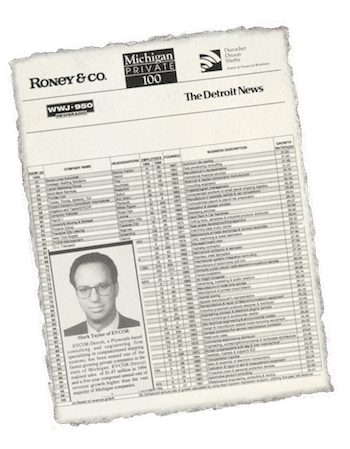 My company became the 58th fastest growing company in the state. The collective wisdom of unbiased peers who challenged my answers helped me to be profitable every year. I sold that company in 2005. It was because of the failure of my first business and the life changing success of my second business – thanks to Vistage – that I’ve made it my business to help CEOs like you succeed. What could you achieve if you had a smart group of CEOs to help you with your challenges? I would like to invite you to experience a Vistage meeting as my guest and meet with a group of CEOs like you. Mark Taylor Delivers. Real life examples. 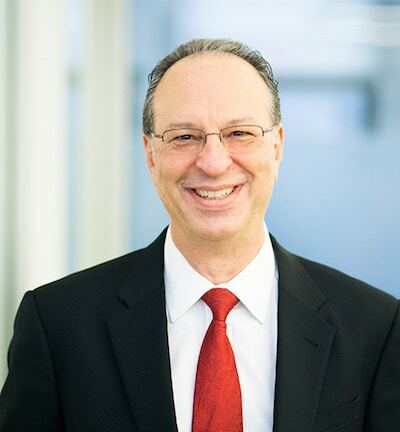 Mark’s experience, knowledge, and expertise makes a real difference in the lives of CEOs and senior executives as he inspires and motivates them to implement meaningful change in their companies and personal lives.